Summer may be all about traveling, but for those who are relegated to touring locally, now there’s a fun way combine traditional road signs with advanced exploration. 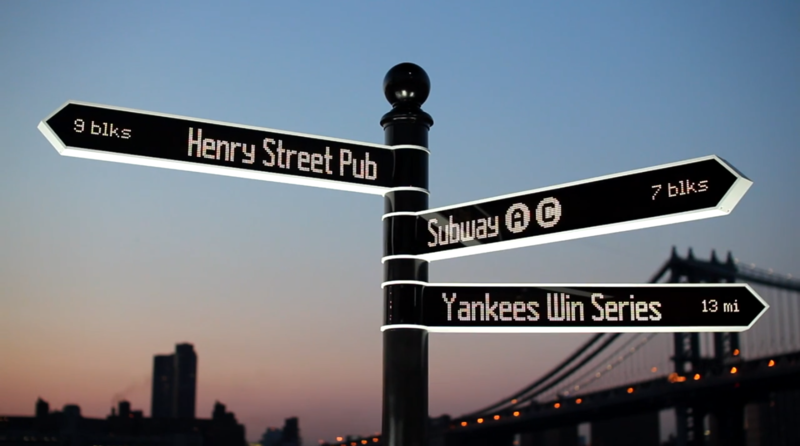 Points, a quirky new digital sign, might look like your average directional signage – but one push of a button and the signs will rotate to tell you how far you are from the nearest restaurant, coffee shop, attractions, and more. 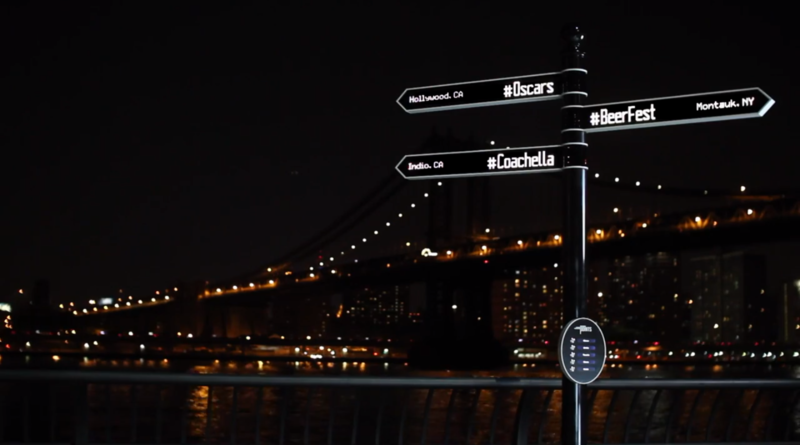 Created by Breakfast NY, the same mastermind behind the beloved Instaprint, Points is directional sign that is much like the ones you see at tourist spots – you know, the one that show you how far you are from landmarks around the world. Except this particular digital sign can not only display hyperlocal information, it will also change directions to show you anything nearby depending on time of day. If you approach Points in the middle of the afternoon, it may point to a few brunch spots with an estimate of how many blocks away they’re located. Conversely, stop by Points at night and it can display some bar recommendations (along with five-star point ratings) or nearby subway stations with a time table of when the next train is arriving. If Points isn’t showing you exactly what you’re looking for, there is also a menu to select categories of nearby information. The sign uses 16,000 LED lights to illuminate during any time of day, and can be programmed to display custom data should you choose to provide information that’s only relevant during particular events. 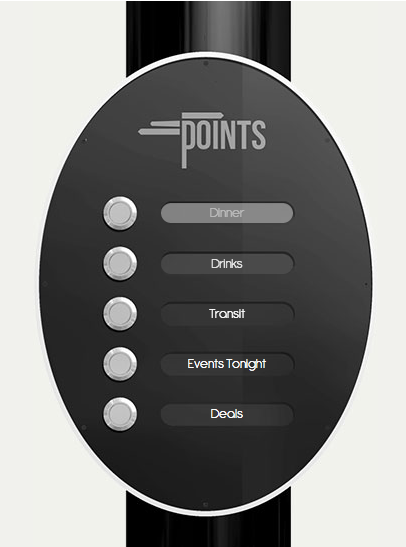 Points doesn’t always have to show just local businesses or current baseball game scores either. You can also live tweet Points with your geolocation tagged and the sign with rotate to point toward wherever it just received the tweet. It’s a social, interactive, and overall neat way to engage and reinvent an item that’s stagnant and often overlooked. At the moment, Points is designed to be a party or event rental item – but how we wish all street signs were this smart. If you’re looking to quirk up an event this summer, Points will be ready for hire starting July 1.